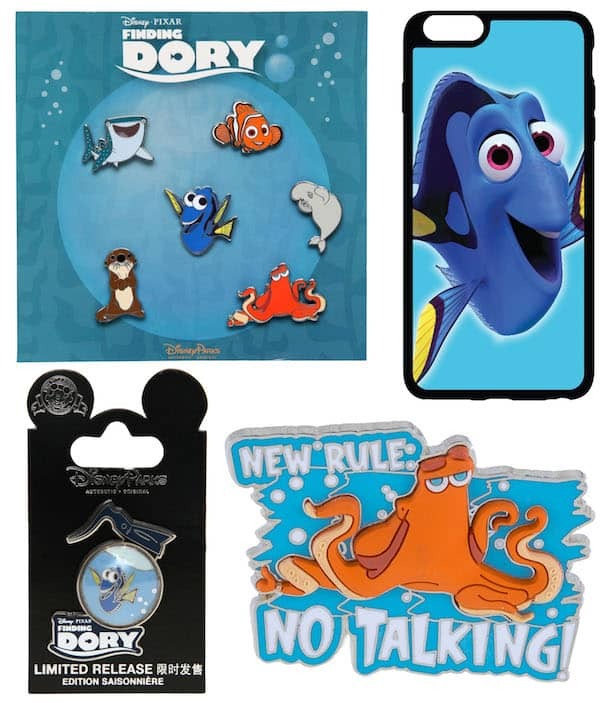 In anticipation of “Speak Like a Whale Day” at Disney Parks on June 11, I visited several merchandise locations to find new products from Disney•Pixar’s “Finding Dory.” The all-new big-screen adventure dives into theaters on June 17, taking guests back to the extraordinary underwater world from the original “Finding Nemo” film. You may recall my fellow author Michelle Harker recently gave you a look at new treats now available at Disney Parks. Here are additional items you’ll find in select locations at both Disneyland and Walt Disney World Resorts. Guests will find a variety of items including toys; back packs that resemble Hank, the octopus; plush; and, my favorite, ceramic mugs. We are offering several character t-shirts for girls and boys. The whale speak shirt with Dory and Bailey, a beluga whale, and is perfect for June 11! Disney pins collectors should look for an open edition pin set with characters from the film. There is also an open edition pin featuring Hank, and a limited release pin that will be available starting June 16 at Disney Parks. 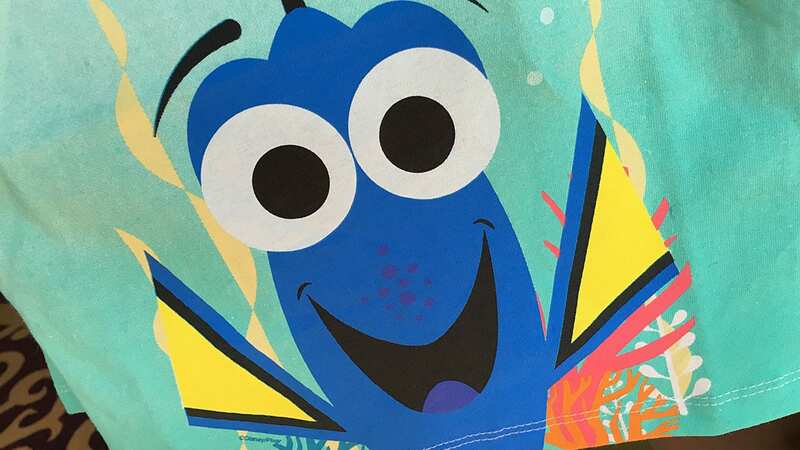 Starting June 17, guests will be able to create a customized phone cases with new character artwork from the film at the D-Tech on Demand kiosks in D-Street at Downtown Disney District in California, or the Marketplace Co-Op in Disney Springs and Tomorrowland Light & Power Co. at Magic Kingdom Park in Florida. 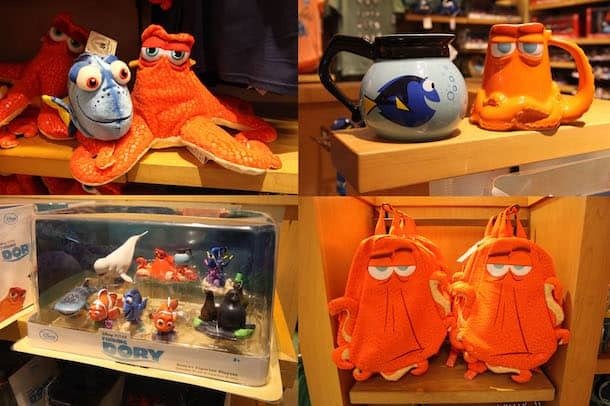 Finally, if you are visiting Aulani, a Disney Resort & Spa, or sailing on Disney Cruise Line, you may find a specially designed “Finding Dory”-themed products by Trina Turk. Please note that some items, such as the handbag, have limited availability. Look for select items shown in this article on DisneyStore.com. The Shop Disney Parks mobile app also has a handful of items available that can be shipped directly to your home. 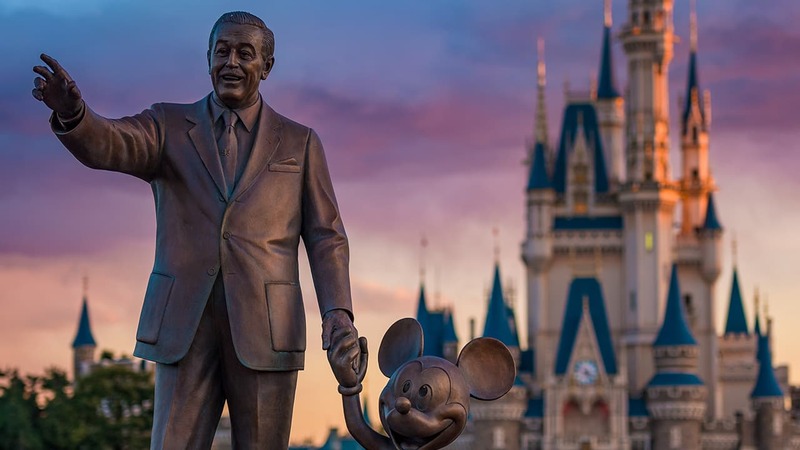 To download the free app, please visit DisneyWorld.com/Shop. I was able to find a cute becky shirt online! Can’t wait to wear it in the parks ? It would be fantastic to get some Becky stuff. I would spend a bundle. I want to know about the Becky merchandise too. I adore her. I hope we can get some Becky merch at some point. Hilarious character.